German Orders of Battle shortly after the beginning of Operation Barbarossa on June 27, 1941 in the evening. 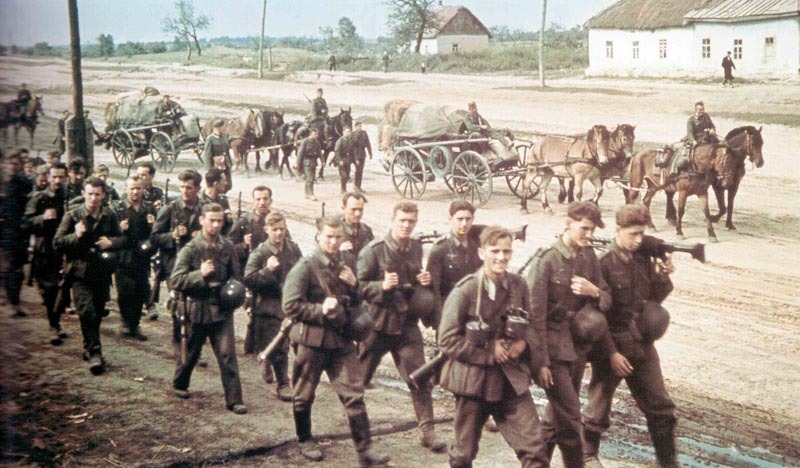 Operation Barbarossa started: German infantry advances into Russia. German Orders of Battle five days after the beginning of Operation Barbarossa. The specified tank inventory in the divisions is the state of June 21, one day before the invasion of Russia. The summary and distribution of the divisions to the armies is also from June 21, 1941. For this purpose, the approximate nominal strength (TOE) of the main divisions of the Wehrmacht from June 1941 and the total number of armored vehicles from June 1, 1941 is also available. Officials 100 100 ? 100 ?